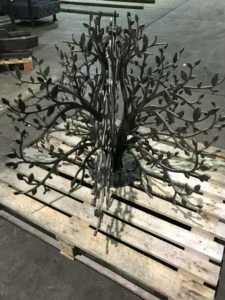 This sculpture was one of the first projects we did as Exteria. 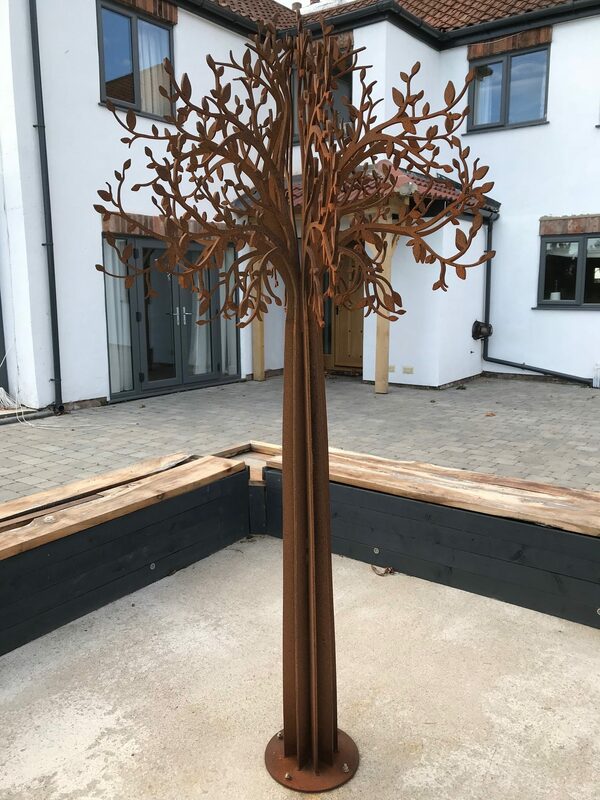 The intricate leaf design was laser-cut into the Corten to produce a natural and flowing look to the tree. 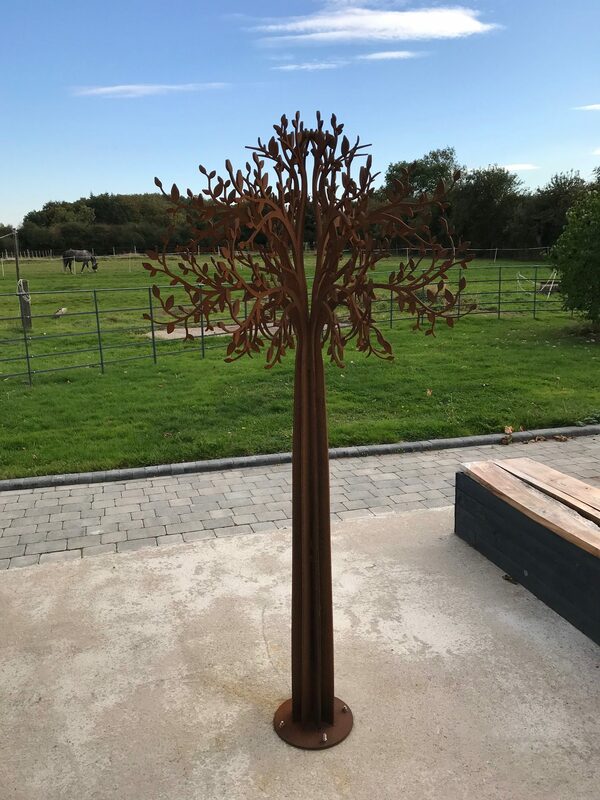 As Corten creates it’s own protective layer as it rusts, the intricate details of the tree will remain sharp and not weather through, as raw mild steel would. 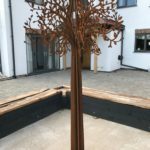 We recommend Corten for any project with intricate details as it will not become subject to deterioration from the rust. 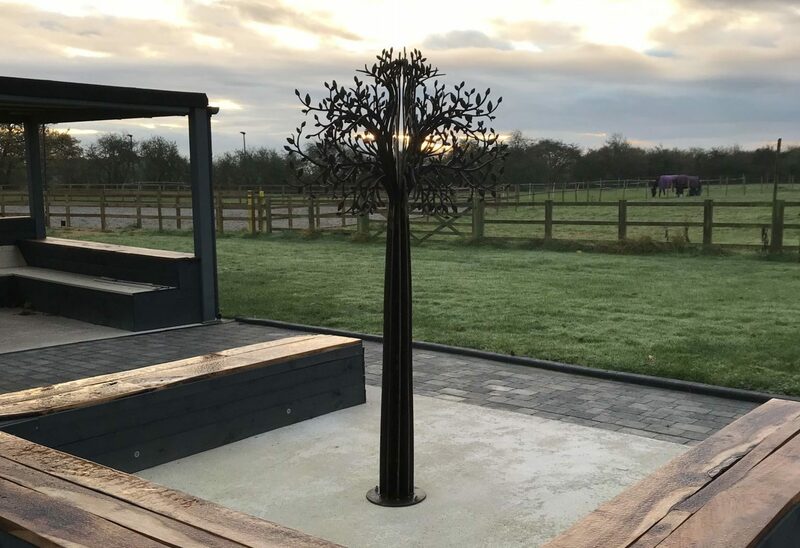 See our finishes page for more information. 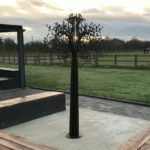 It was a real test to achieve such fine detail but the finished result speaks for itself. 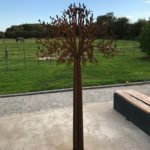 The Corten will continue to rust over time, the progression of the rust can be seen between this photo from the production process and the below photos from the product installation.